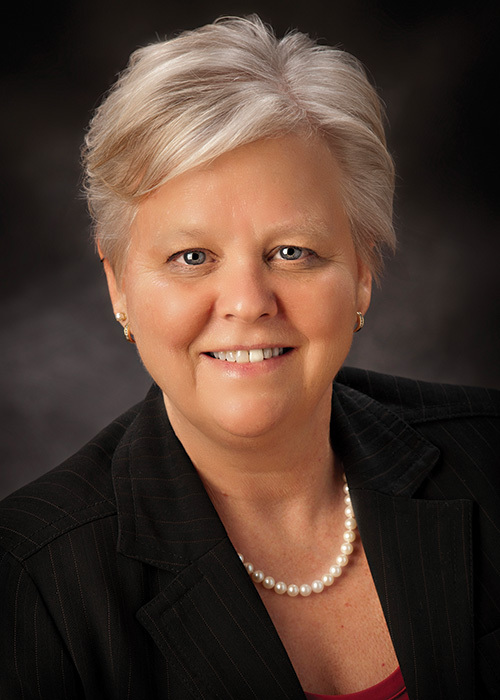 Laurie Hanson has practiced law since 1984, with a special focus on persons aging and living with disabilities. She now concentrates her practice exclusively in the areas of trusts (including supplemental needs, special needs and pooled trusts), estate planning, planning for incapacity and surrogate decision-making, government benefits eligibility including Medical Assistance, SSI, veterans benefits, SNAP and public housing), and probate. Laurie regularly serves as faculty and makes presentations on elder law and special needs law topics at continuing legal education courses for attorneys through the Minnesota State Bar Association. In addition, she gives presentations to nursing home family councils, church groups, support groups, community groups and at law schools in the Twin Cities. Laurie is a 1977 graduate of the University of Wisconsin-Madison and a 1984 Graduate of Golden Gate University School of Law in San Francisco, California where she was a member of the law review and Editor-in-Chief of the Women’s Law Forum. She is a shareholder with Long, Reher, Hanson & Price. Before joining Long Reher Hanson in 2004, Laurie practiced for fourteen years at the Senior Law Project of the Legal Aid Society of Minneapolis. For her efforts in working with families with aging adults and her efforts in drafting Minnesota’s third-party custody statute, she was awarded the Dawn Carlson Family Advocate Award in 2003. She also received the prestigious Mary Alice Gooderl Award from the Elder Law Section of the MSBA in 2008 for her contribution to the practice of Elder Law in Minnesota. Laurie has been named a Super Lawyer by her peers consistently since 2001. Before moving back to Minnesota in 1989, Laurie had a private general practice in Fayetteville, Arkansas. She was a Reginald Heber Smith fellow her first two years following law school and worked with Ozark Legal Services in Fayetteville. Laurie is a member of the National Academy of Elder Law Attorneys, the Minnesota State Bar Associations, the Minnesota Lavender Bar Association and the Hennepin County Bar Association. She is a past Chair of the Elder Law Section of the Minnesota State Bar Association. She is a member of the Special Needs Alliance, a national invitation-only non-profit organization committed to helping individuals with disabilities, their families and the professionals who represent them. She is also on the Board of Trustees of the Upper Midwest Chapter of the National Multiple Sclerosis Society and is chair of the Audit Committee and the Minnesota State Advocacy council. Laurie and her wife, Kim Dayton, live in a duplex in Uptown in Minneapolis. Her stepson Colin, who has an autism-spectrum disorder, lives on the third floor and her father lives on the first floor of the duplex — along with dogs Harriet and Grady and cats Tornado and Cleo — they have truly an inter-generational, inter-ability household. Her daughter, Sina, is a captioner for Disability Services at the University of Minnesota. Laurie also enjoys spending time on Lake Onagon at the end of the Gunflint Trail.